The classical music season is barely getting under way. But already there are some fine concerts to be heard this week. “Live From Center” celebrates the beginning of its 35th anniversary season when it airs tonight at 8 p.m. on Wisconsin Public Television. The New York Philharmonic, under its new director Alan Gilbert, will perform the U.S. premiere of Symphony No. 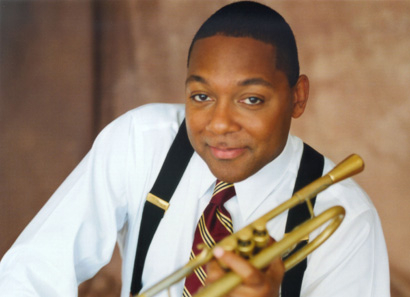 3 “Swing Symphony” by trumpeter and jazz great Wynton Marsalis (below). 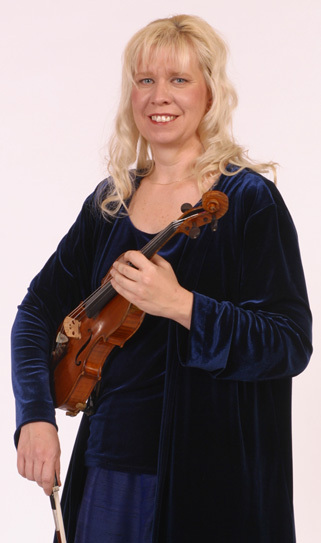 Also tonight, at 7:30 p.m. in Mills Hall on the UW campus, is an appealing recital by violinist Suzanne Beia (below). Beia is one of Madison’s hardest working musicians. She performs with the Pro Arte String Quartet, the Madison Symphony Orchestra and the Wisconsin Chamber Orchestra and coaches young people and students for the Wisconsin Youth Symphony Orchestras. A two-part Q&A with Beia was featured on this blog this Monday and Tuesday. You might want to check it out. She is impressive. The program is all modern music It includes Stravinsky’s Duo Concertante for Violin and Piano, Ravel’s Piano Trio, Bright Sheng’s “Four Movements” for piano trio and Roger Sessions’ Duo for Violin and Cello. Other performers include pianist Karen Boe and cellist Karl Lavine. 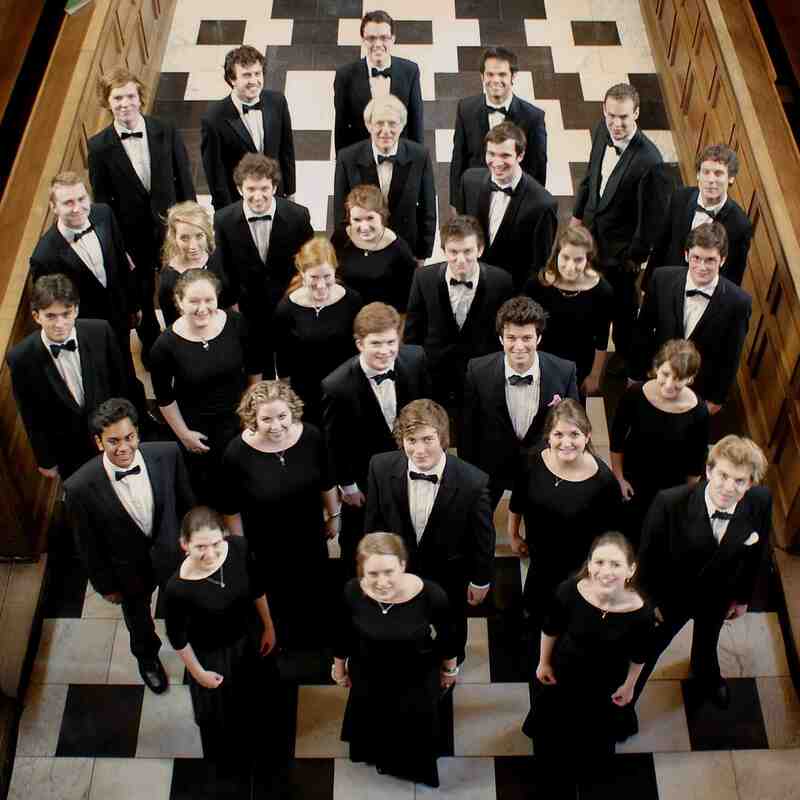 On Friday night at 7:30 p.m. in Luther Memorial Church, 1021 University Ave., the Choir of Clare College (below) from Cambridge, England, will perform. Tickets for open and unreserved seating are $15 and are available at http://www.luthermem.org or at the door. The extensive and eclectic program includes: Kyrie (from the Mass in G minor) by Vaughan Williams; Gloria (from the “Missa Euge bone”) by Christopher Tye; “Te lucis ante terminum” and “O nata lux” by Thomas Tallis: “Ave verum” by William Byrd; “O Lord, in thy wrath” and Fantasia in A minor by Orlando Gibbons with Nicolas Haigh on the organ; “Sicut cervus” by Palestrina; “Like as the Hart” by Herbert Howells; “Magnificat” (New College Service) by Drayton. After INTERMISSION comes “Cantique de Jean Racine” by Gabriel Fauré; “Pater noster” by Guiseppe Verdi; “Cortège et Litanie” by Marcel Dupré with Ashok Gupta on the organ; “Take him, earth, for cherishing” by Herbert Herbert Howells; “Abendlied” by Josef Rheinberger; “Ehtoohymni by Einojuhani Rautavaara; “Nunc Dimittis (Collegium Regale)” by Herbert Howells; and the “Agnus Dei” (from the Mass in G minor) by Vaughan Williams. Under the direction of Timothy Brown, the choir of Clare College has become world-renowned for the range and flexibility of its choral sound, and for its broad repertoire. The choir frequently performs in Britain’s major concert halls with many of the UK’s leading period instrument orchestras and conductors, and contributes regularly to BBC radio broadcasts. This concert will be one of the last opportunities to hear the unique sound of Clare Choir under Timothy Brown, before he retires after 31 years as Director of Music. This Saturday at 8 p.m. in Mills Hall; the UW’s Pro Arte String Quartet (below, in a photo by Katrin Talbot) will start the season what will lead up to its 100th anniversary and the performing of six newly commissioned quartets by the Pro Arte. This concert gets a MUST-HEAR rating for the quality of the performers and the program. 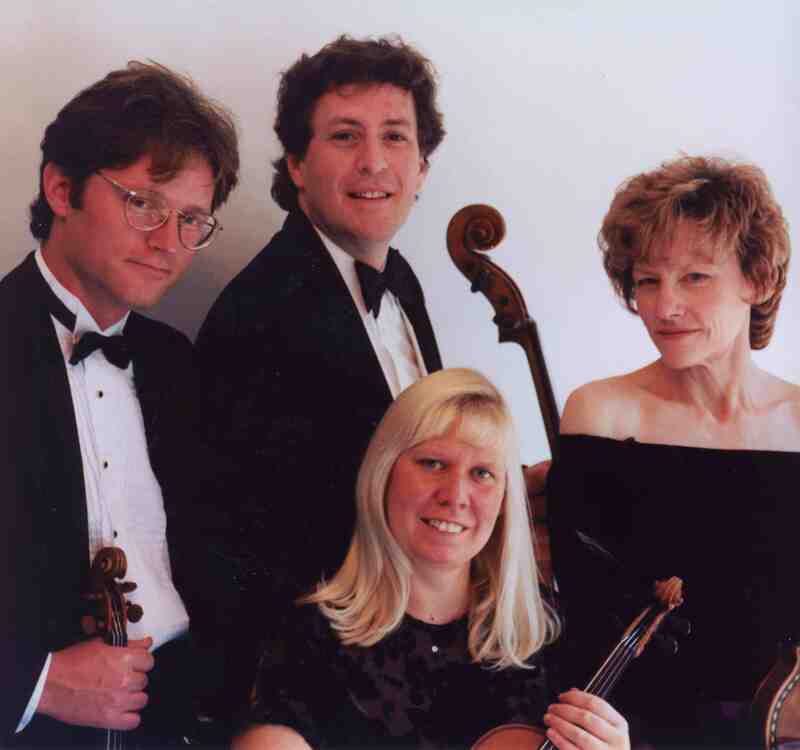 The PAQ (as it is abbreviated) will performs Mozart’s Quartet in E-Flat Major, K. 428; Dvorak’s Quartet in D Minor, Op. 34; and Schumann’s Quartet No. 3 in A Major, Op. 41, No. 3). 2010 marks the Schumann bicentennial, by the way. You can go to the UW School of Music homepage and stream it under Events Calendar (it usually gets set up within a day or two); or you can attend (for free) or listen to this week’s “Sunday Live From the Chazen” broadcast, which will feature a live performance of two of the works: The Dvorak and the Schumann. It airs Sunday on Wisconsin Public Radio (WERN 88.7 FM in the Madison area) from 12:30 to 2 p.m.